Are you looking for an option to add file attachments with your WordPress contact form. If yes, you can follow the tutorial here. 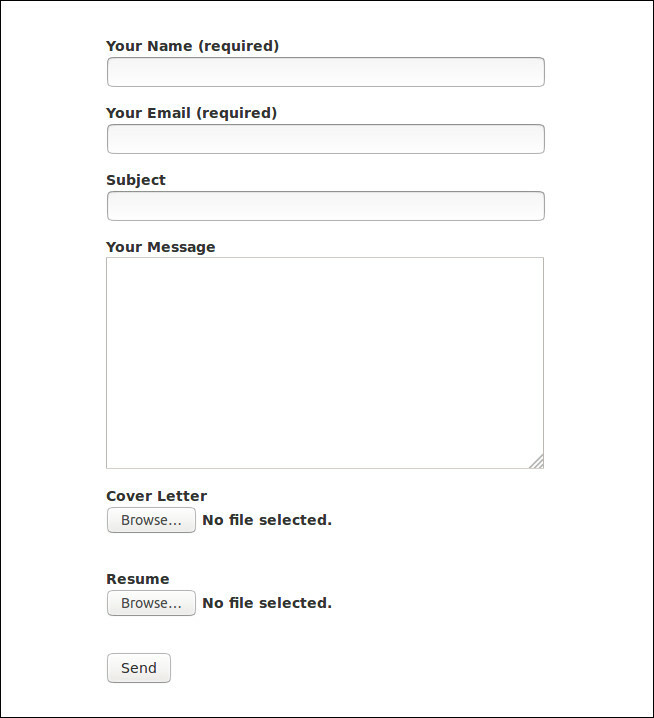 In this article I have explained how you can add multiple attachment with contact form 7. STEP 1 : Login to admin area and install & activate Contact form 7 plugin. After activating the plugin, ‘Contact‘ tab will appear in your dashboard and when mouse hover you can see ‘Contact Form‘ click on it to make changes. STEP 2: On this page you can see Contact form 1. I renamed it to career and added following fields in form tab. 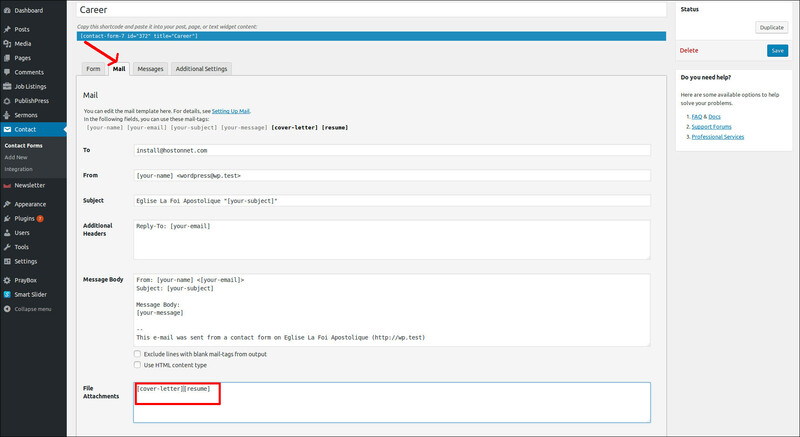 STEP 4: Once this saved, you can see the shortcode like below in top of the page. Create new page and copy/paste the code there.